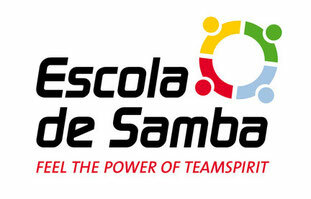 International Training Award - escola-de-samba2s Webseite! Escola de Samba GmbH & Co. KG has been running unique team drumming events for the past five years. The company founded by Frank Vollet concentrates on making positive, group-dynamic processes that are created during the joint Samba drumming. 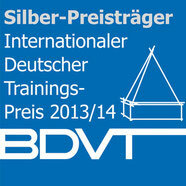 Now Escola de Samba has been awarded the International German Training Award 2013/2014 in silver for their innovative work. Escola de Samba, together with the well-known training and consultancy company INtem Trainergruppe Sessler und Partner, received the training award, which is considered to be the toughest competition in the industry by experts, for the joint project „Emotionalisierung im technischen Vertrieb“ . The competition has been held since 1992 by the Professional Association for Trainers, Consultants and Coaches (BDVT) and honors future-oriented and innovative personnel development concepts. 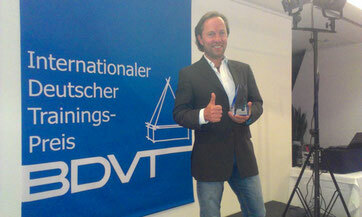 At the award ceremony of the BDVT, which took place during the HR exhibition "Zukunft Personal" in Cologne, the CEO of Escola de Samba GmbH & Co.KG Frank Vollet said: "In the submitted project we were able to distinguish ourselves and contribute positively, where we clearly differ from our competitors in the sustainable transfer of the emotional processes that are evidently created when drumming together. "